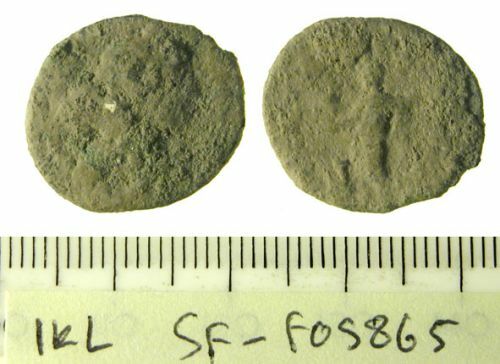 A worn and heavily encrusted Roman coin, probably a late denarius of Severan date with copper-alloy core and white metal coating. The obverse and reverse legends are illegible. Reverse description: Uncertain figure standing left, right arm outstretched holding uncertain object above altar?